I put together a gif review of Five Days Left by Julie Lawson Timmer. Bloggiesta is happening NOW! I didn't officially sign up but I've been working on a few of the mini-challenges. I also participated in a Twitter chat. Those are always good, clean fun. Did you join in? Diversiverse is another thing that is happening. Yet another event that I didn't have the time (nor good sense?) to sign up for. My gal pal Katie did, and has a fab review of The Joy Luck Club up on Words for Worms right now. Check it out! I'll get the bad news out of the way quickly: I've had to drop all of the online college classes I was taking. A few personal reasons crashed up against a couple of financial reasons and boom. I don't know if I'll give it another go next semester or if I've come to the end of that particular road. Time will tell. 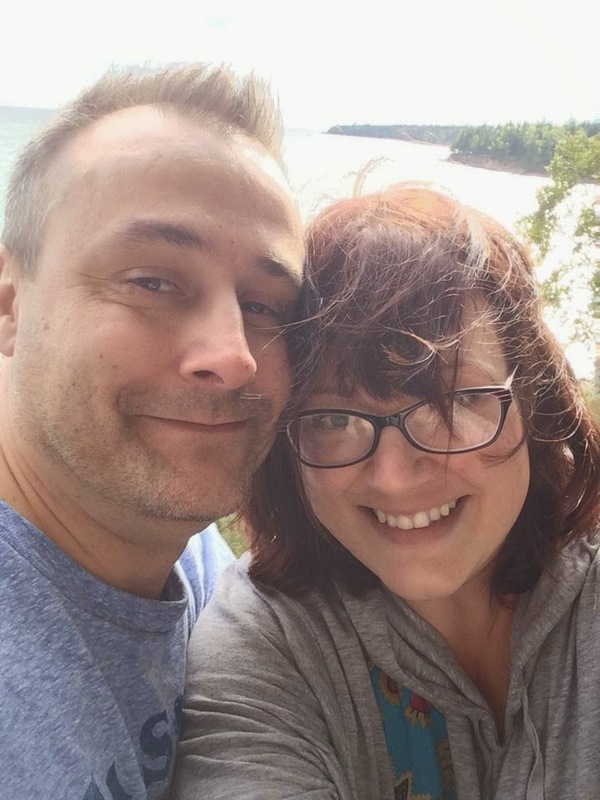 We drove up the North Shore of Lake Superior. I cannot even tell you how beautiful the area is. We stayed at a lovely lodge on the lake (honeymoon suite! 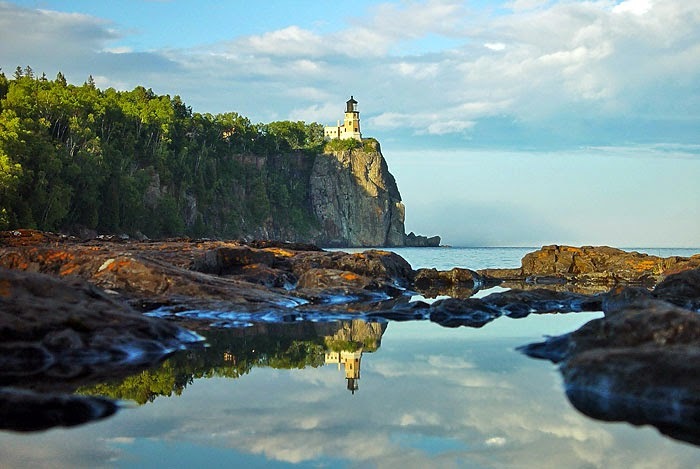 ), we took a tour at the Split Rock Lighthouse, we chatted with a very inebriated smoked fish monger/bartender. 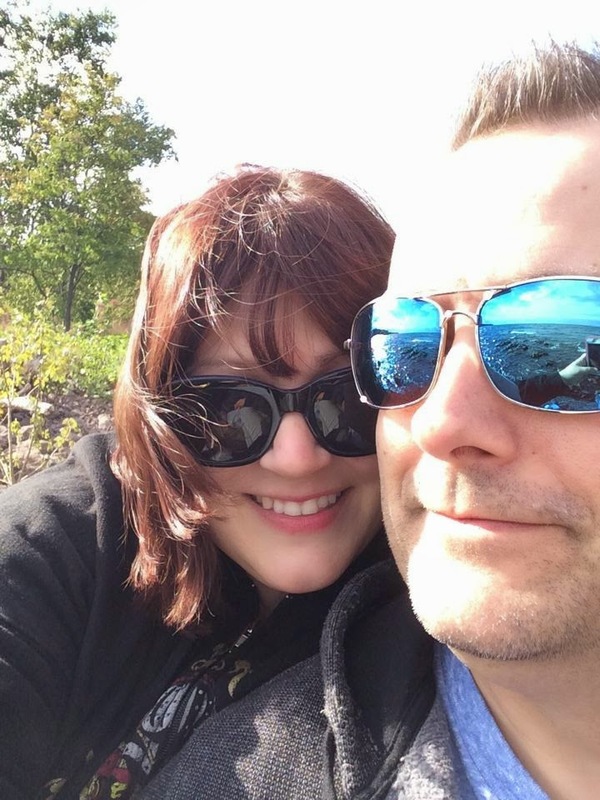 The combination of nerdy history and romance was perfect for this girl. It was just what we needed to recharge our batteries. Now we're back to real life. Real life feels better after a quick jaunt up the North Shore. What's happening in your life? What are you reading? Making? Doing? Exploring? Let me know! Oh lady I'm so sorry for your not being to continue the classes...hope it works out in the future somehow. I had a pretty good Bloggiesta. I like the 4-day ones because weekdays are always more productive for me (or have the potential to be) than weekends. But then yesterday I unexpectedly got the place to myself for several hours (I knew my husband had plans, I just didn't realize they were almost-all-day plans) and got more done, and today I'm bringing my laptop to the library for some uninterrupted work time. I'm sorry you had to drop your classes! I hope it will work out better in the future. Your photos look gorgeous. 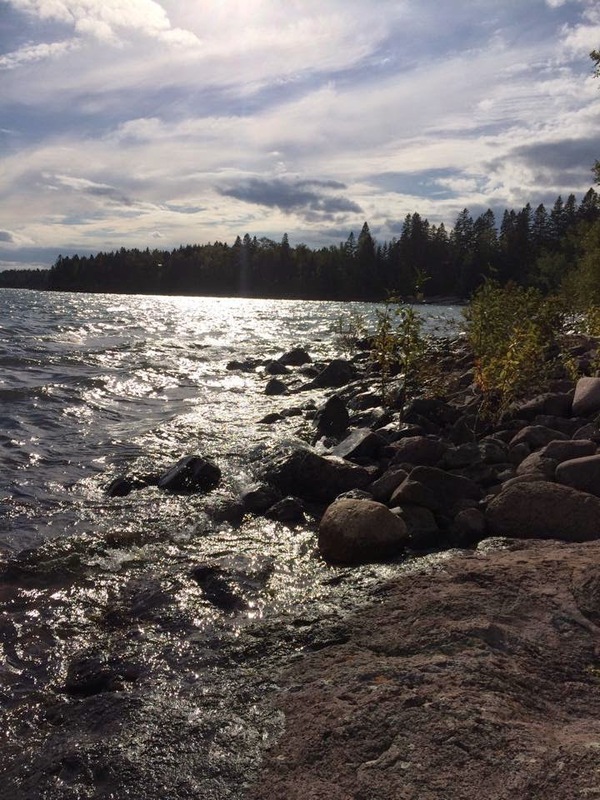 I love Lake Superior in the fall. Maybe you'll get your blogging mojo back without school? So We Read On is on my wish list. Can't wait to hear what you think. The North Shore look like heaven! I'm sorry you had to drop your classes. Life sometimes does crazy little tricks. What beautiful pictures! I'll be interested to hear your thoughts on And So We Read On...loved Gatsby and I usually love behind the scenes type stories. I've also heard people have been loving 5 Days Left, even though it's emotionally tough. Well yay for a little time away with the hubby! It's a bummer about your classes, but when stuff comes up... sometimes it's the only good option. I read The Great Gatsby several times in high school and college and loved it. 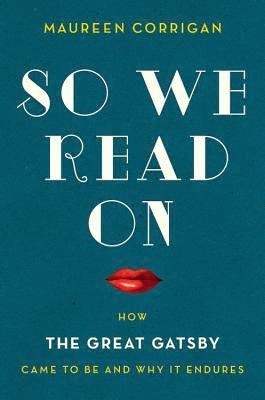 I look forward to hearing more about So We Read On. Your photos are fantastic! I'm glad you had a great trip. I am sorry about the college classes. :-( That must be frustrating. Sorry to hear you had to drop classes. I hope things settle down soon so you can reenroll if you wish to. That lighthouse picture is amazing. So glad you got time with your hubby alone!! 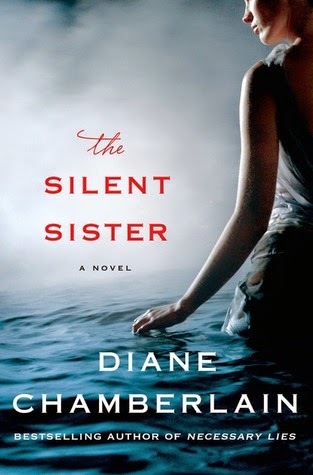 Thanks for reminding me to request The Silent Sister on Netgalley, hope I get it! I love Diane Chamberlain's books! Nice to see the review of 100 Days of Real Food, we've been trying to get away from processed foods and that looks like a great resource. Will definitely check that out. Sorry to hear about your classes, maybe things will work out down the road. Nice pics of your getaway, it is beautiful up there. During the Twitter chat, I thought I'd somehow accidentally blocked you because I saw people replying to you, but couldn't find your posts. Then I realized I just wasn't recognizing your new avatar! ;) Whew! Ahhh! I just got So We Read On!!! And I'm teaching The Great Gatsby in a couple weeks too! The North Shore is beautiful! I need to convince the boyfriend that we should go there for a little trip. I think he'd love it.